TNA: Bill O'Reilly Says Video of Him Kicking Puppy "100% False"
Bill O'Reilly Says Video of Him Kicking Puppy "100% False"
NEW YORK CITY, NEW YORK (The Nil Admirari) - Last night, Fox News talking head Bill O'Reilly used his show "The O'Reilly Factor" to assert a video showing him kicking a puppy was "100% false." O'Reilly played the video in which he could clearly be seen kicking a puppy and blamed "the liberal media" for producing the footage. "I have never owned a puppy. I have never seen a puppy. I don't even know what a puppy is. And that is the fair and balanced truth," stated a very animated O'Reilly. O'Reilly played the video a second time. The split screen view showed him smirking at the footage of Bill O'Reilly kicking a St. Bernard in front of a nun and her Catholic school students. "So who is at fault for this incontrovertible and 100% false footage of me kicking a puppy? It is the liberal media, which has been trying to take me down with facts for years because they know I am the only one who is being honest with you," said O'Reilly. The nun in the video, who asked to remain anonymous, stated, "That monster kicked my puppy and I look forward to the day he burns in hell for all his lies." 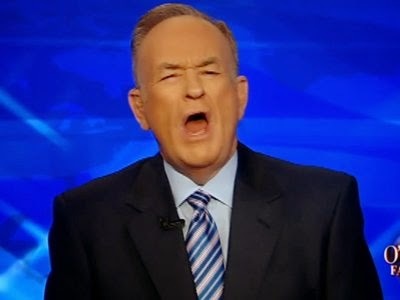 Topics: Bill O'Reilly, Fox "News"